In life there are numerous people who truly deserve our gratitude. For, many have been the hands that have joined in moulding our present. The Indian scriptures remind us, 'Matru Devo Bhava, Pitru Devo Bhava, Acharya Devo Bhava' - One owes respect to one's mother, father and teacher in the order mentioned; and above all God of course, for it says give respect by treating them like God. Most of us individuals have ample opportunities to show gratitude to our parents. We live our entire life with them and have scope for filling their lives with joy for all they have done for us. But what about our teachers? We meet many of them through the journey of life. Some touch our lives in ways we cannot describe or even comprehend. Some do it so silently that years pass before we realise they did, like the fragrance of a rose garden that often comes to us only after we have walked past it. The answer is simple - gratitude is a noble virtue to possess, and Bhagawan wishes we all be virtuous enough to be grateful. Most of the inspiring teachers we encounter in life too neither had the time nor desire for our gratitude, but each one of you will agree that saying that thanks, even if it is in the silence of our hearts, makes us feel so warm and happy. 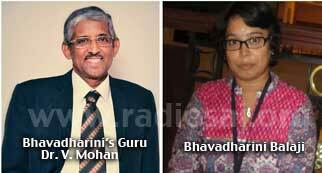 So, why not we express our love to those teachers on this occasion of Guru Poornima? You do it the way it gives you joy - poem, audio message, a picture or just a few heartfelt words - we will share it with the rest of the world. Who knows, after all your teacher might see your message and with a twinkle in his or her eye, and remember you with fondness. It could be anybody - your Bal Vikas guru, your swimming instructor, your kindergarten teacher or even someone you look up to as a teacher - but someone who has touched your life in a way that is very special and taught you an indelible lesson of life. 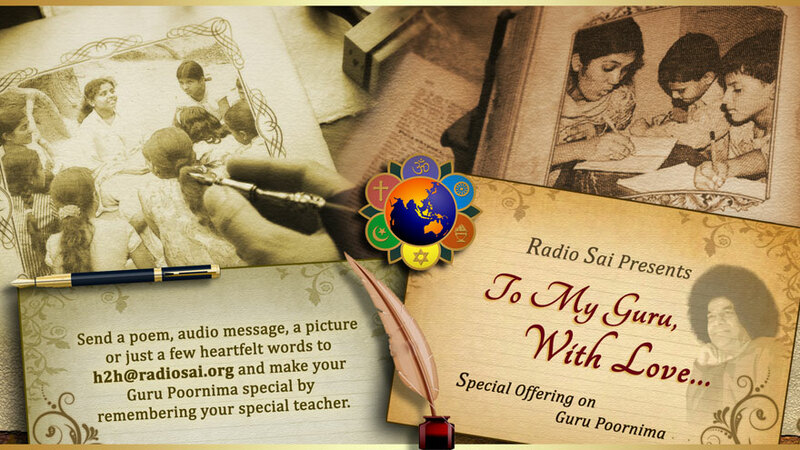 Make your Guru Poornima special, by remembering that one special teacher. You can start sending in your entries right away to [email protected]. Let the subject of the email be "To My Guru With Love". We will accept entries till the Guru Poornima Day, 12 July 2014. Don't forget to send us your complete name, your place and a picture of yours along with your message. When the student is ready, the teacher appears... Buddhist proverb. I was born as a student, I am student my whole life, for, the day we think I have studied all I needed, we stop progressing. We are all indebted to our first guru, our mother, a bunch of 100 teachers. I thank her from the depth of my heart. My mother and father instilled human value in me. My father gave me discipline too. School and college teachers help me excel by believing in me. My brothers and sisters and their family's love care and support taught me many things and mould me in a better person. Some friends, and co-workers also played the role of teachers in my life. I am very much thankful to Shri Pandurang Shastri Athavale who at "Swadhyay" taught essence of Bhagavad Gita and how to implement its teachings in daily life. He also taught to live like family with all members called "Swadhyayi". He inspired to do selfless service also. I am grateful to our beloved Swami, the greatest Guru, teacher of all teachers, for giving me all the opportunities to learn from all the teachers mentioned above and other teachers in different forms including some objects (please refer poem below) and incidents. Computer, internet and books taught me too. How can I forget mistakes of mine and mistakes of others too? Mistakes are great teachers. I thank all my teachers and pray Swami to bless all of them. Swami you made me worthy of receiving your grace form the whole Sai family and love care, guidance and support from Flushing Sai Center devotees in particular. Guru Balan was a living example of the teachings and messages of our beloved and as HE stated in the above quote. 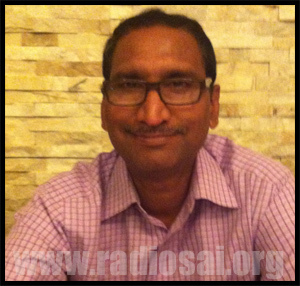 Guru Balan has touched the lives of many people, especially his students. 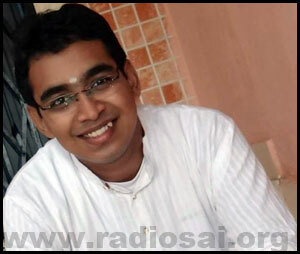 But, without any doubt, the greatest talent of Guru Balan, as we all know, was his golden voice. His voice was a gift of God. He sang very well and it came from his heart. And it is this vibration from the heart which touched the hearts of so many. 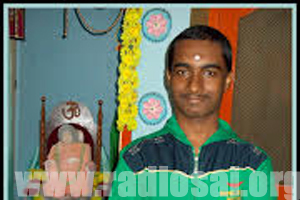 Guru Balan was also a great musician. He used his harmonium to the best of his abilities and people were mesmerised by his skills. 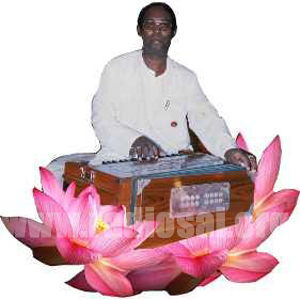 He gave life to his harmonium and his harmonium gave life to the devotees. Without any doubt, he was an instrument of God. He was the chosen one. He was sent to us as a Messenger of God. Another noteworthy aspect of Guru Balan was his ability to make each and everyone feel at ease in any context and any situation. The rich as well as the poor, the young as well as the old, the adults as well as the children were all happy in his presence. Furthermore, everyone respected him. It was as if he had the power to conquer every heart. 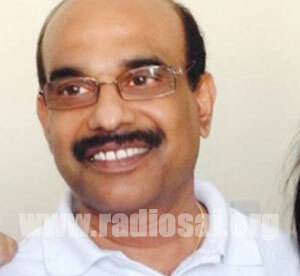 What is very important to emphasize here is that Guru Balan always kept his smile despite the ups and downs of life. He had much to give to people. He was ready to share his knowledge without restrictions. He was ready to sacrifice everything for Sai Baba. He had vast tolerance, an ocean of love, of compassion, of patience. He was extremely kind, very generous, the list can be endless. All his actions were selfless. He never expected anything in return. He was never after fame, name, money or political gains and material gains. 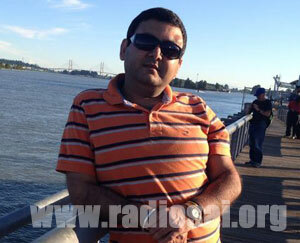 Guru Balan was not a rich man financially, but he was an extremely rich person spiritually. His good characteristics helped him to give rather than to receive, in the proper way a devotee should be, as taught by Sathya Sai Baba. Guru Balan was not a sadhu, a swami or a great sage. He was an ordinary simple person. He was like any one of us. But he was special. He was God-sent. There is a saying which goes like this “great people live in the minds of others, but good people live in the hearts of others”. 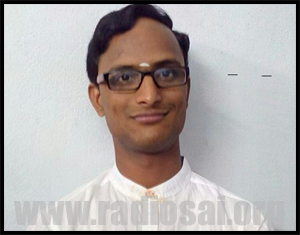 Guru Balan belonged to both categories. He was not only a great person but also a good person. He left his imprints in our minds and much more on our hearts. All that we can say today is that, we thank Bhagawan Sri Sathya Sai Baba who sent us such a person in our country, who could bring us together on the spiritual path to guide us, to motivate us and to inspire us then, now and forever. “Lives of great men remind us all that we can make our lives sublime and departing, leave behind us footprints on the sands of time”. One should uplift one’s lower self- the mind, by his higher self – the soul. One should never downgrade one’s self, for the self verily is both the friend and the foe of the self. Atma Kripa is attained; we become ready to receive the next kripa which is the Guru Kripa. The Guru appears to guide us in our spiritual journey. Guru kripa qualifies us to the next stage of Shaastra Kripa. We learn to study contemplate on and practice the eternal teachings with the help of the Guru and thus engage ourselves in Shravana, Manana and Nidhi Dhyaasana. All these take us to the final stage of Eshwara Kripa when we become eligible to receive the grace of the Almighty. To be a generation on this Mother Earth, when the Avaathar decided to grace this planet by taking birth, to be fortunate enough to be in the Divine fold and enjoy the Darshan, Sparshan and Sambhaashan of the Lord in human form, is in itself a great boon for all of us. Our beloved Bhagavan, relentlessly laboured during His earthly sojourn, to sow the seeds of Atma Kripa in us, by regularly addressing us as Divyaatma Swaroopulara. He reminded us time again in every discourse of His that we are born in order to learn how not to be born again, driving home the point that we must unfailingly strive to realize our innate divinity. In the word GURU, Gu stands for Gunaatheetha [The one who is beyond the attributes] and Ru, for Rupa Varjitha [The Formless one]. Hence, the true Guru is the Lord Himself. We have had the greatest fortune of having the Lord Himself as our Guru, the Guru who declared ,”My Life is My Message.” and urged us to make our life His message. Thus Swami bestowed upon us the Guru Kripa. He taught us the nuances of the toughest vedantha and the scriptures of all the religions in the simplest and the most practical terms like ‘LOVE ALL, SERVE ALL “and “HELP EVER, HURT NEVER”, and thus showering upon us the Shaastra kripa. 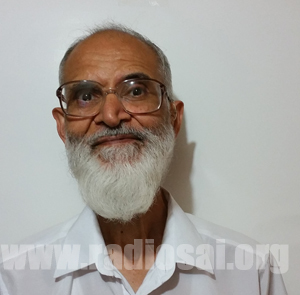 As Revered Kasturiji said, “Bhagavan’s every word is a mantra, every phrase a sutra, every sentence a Gayathri and every speech an Upanishad.” By putting into practice His teachings in our day to day life, we can easily divinize every mundane mechanical activity of ours and qualify to earn the Eshwara Kripa –His grace. What greater fortune can we ask and aspire for in a life time? We are eternally grateful to Swami for showering upon us all these four kripas. It is important to value the Master. But it is far more important to master His Values so that our life becomes His message. I prayerfully and humbly request our beloved Swami to bless us to be at His Lotus Feet and give us the courage and conviction to tread the path He has shown us and set for us. When I hear the word “Guru”, the first thing that I remember is Sai Ram. My two eternal Gurus, Sai and Rama. Both, Bhagawan Baba and Lord Rama, have taught me the importance of the five human values, especially Sathya and Dharma. Baba has been my guide and guru. He has taught me everything in my life. I cannot express my gratitude to Swami in words. Furthermore, ever since I was a child, I’ve always looked up to Lord Rama. I read the Ramayana over and over. I realize that Lord Rama has a major influence in my life. Lord Rama and his three brothers, in fact, correlate to the four Vedas, which are the road maps for the spiritual path. The first Veda, Rig Veda, is known to protect and nourish yagnas and pujas. Therefore, Lord Rama himself is the Rig Veda. Also, the epic Ramayana demonstrates the importance of namasmarana. I was very fortunate to have a great Guru who has helped me practice namasmarana through bhajans. Arthi Aunty was the first teacher who taught me how to sing bhajans. If it wasn’t for Arthi Aunty, I wouldn’t be able to sing bhajans or communicate with god. Furthermore, Gobinath Uncle first introduced me to Baba’s fold through Balavikas classes. He was my first Balavikas teacher. 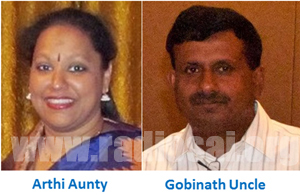 I am eternally grateful to Arthi Aunty and Gobinath Uncle for all they have done for me. On this auspicious day of Guru Poornima, I offer my gratitude to my divine Guru, Bhagawan Sri Sathya Baba, Lord Rama, as well as Arthi Aunty and Gobinath Uncle. Guru Purnima is the day dedicated to ones Guru. Swami has been the only one I could think of on this day. Be it little lessons in life, the lessons from the epics and scriptures or even the first lessons in the classroom, it was Swami who taught us. I still recollect that one day in the year 1990 when Swami walked into our classroom in the Sri Sathya Sai Primary School and had a basket of wax fruits. He taught us the names of each fruit... apple, banana, orange, grape, etc. and lovingly repeated while showing us each fruit. We were all so excited and happy seeing those colourful fruits. Then he joked saying those were wax fruits and that they shouldn’t be eaten :) As 5 year old kids we were all so thrilled that day and in fact all through the day we couldn’t stop looking at the fruit basket off and on! or was I chasing an imagination? But where could I find you ? but where were you ? But only found His shade. At least His shade was there. But where was He ? I cried and wept to have His view. This is He ! This is He ! Who filled the yearning years with hope. It almost was too much to bear. And stripped me off all earthly care. His vesture red like blood. He is form and He is not. Thank You Swami for making my life complete. The Hindu guru-shishya tradition is the oral tradition or religious doctrine or experiential wisdom transmitted from teacher to student - says the Wikipedia. My longing of many years to learn veda was fulfilled by swami when I was introduced to Mrs.Srimati Kumar by my sister in 2009. The best teacher in the subject anyone could have - It was and still is an experimental wisdom indeed from that day. 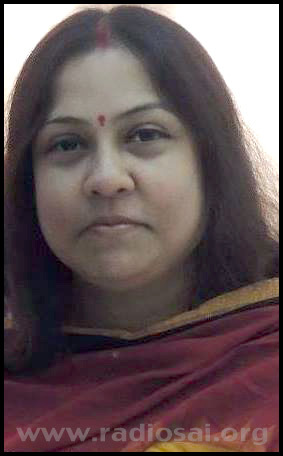 Being a strict master and disciplinarian in what she teaches, apart from inculcating the nuances of veda and proper ways of chanting, she is also a walking model of humbleness, care, love, friendship and so many other qualities put into one. It took me sometime to see the rose amidst the thorns but once you find it - a rose is a rose. I and a few of my fellow students can proudly proclaim that what we have truly mastered a few portions of vedas - not by reading from a book but by memorising it word by word with the correct shabdha and swara. If I can render rudram like a song today it is only through Bhagwan’s blessing and my teachers efforts. Thought to be most difficult because of its length I alongwith a few chosen students memorised the 32 anuvakas of Aruna Prasnam and chant it as a samarpanam to Bhagwan till date. It was a tapas we undertook for the past one year and the rigorous training by our teacher. Words cannot fill-in the gratitude I feel today to Bhagawan for giving me such a wonderful teacher. I think the following poem that I read sometime back will be apt at this juncture. My Pranams at the Lotus feet of my Sadguru, Jagathguru and Vishwaguru. I owe everything to Saiguru. It was my Guru's sankalp, I was born to my devout parents. My Guru named me & gave aksharaabyas too. I cherish all the memories that I had and I still continue to have. I feel His presence in many ways. That only a Divine Guru alone can do. When destiny wanted me, my Guru's Grace saved me. Whenever I need Him, my Guru is always there. Who else can do all these without asking? “If you know me and you don’t know GOD, don’t worry, you’ll know”, How simple! Yet so profound!! Only Sadguru Sai can make such profound statement sound so simple. So, here is my heartfelt tribute to my most revered and beloved Sai... our Swami, the Guru of all Gurus. I pay my tribute by remembering a few of those persons who made a huge difference in my life by guiding me, directing me towards my goal, though they never, ever imagined that they were instrumental in making me what I am today. I remember each one of my teachers from Maharani’s Middle School, St.Patricks’ High School and Banasthali Vidyapith but the ONE teacher, who turned out to be the real Guru is Dr. Ravindra Agnihotri, my professor in B.Ed College (and a ‘Dada’ now, for last 45 years). He taught us Hindi. I was confident that my Hindi was perfect but he was not. There wasn’t a day when I didn’t argue and he didn’t scold me. I thought he hated me for being outspoken and was unnecessarily harsh towards me. The day before my practical examination of B.Ed. he threw me out of class and made me prepare the lesson all over again. I still have that lesson-plan with me. Oh! How humiliated I felt, how bitterly I cried, how resolutely I prepared my new lesson... result? Of course a first class! Later on ‘Dada’ told me that in many years of teaching, for the first time he had found a student whom he could groom as an ideal teacher and there I was, with my childish ego and Bong-pride. He had promised himself to mould me and those taunts, rebukes and bouts of anger were all towards that goal. On Guru Poornima I confess, I could not have excelled in my field without my Guru’s hard work and tremendous confidence in me. My loving pranams to you ‘Dada’. Another ‘Guru’ came in my life in Puttaparthi, in the garb of a student. In the year 2000, we came and settled down in Puttaparthi. I was teaching in a children’s home where orphans and destitute children were being taught. They were very intelligent and curious. I had told them about my mother’s last journey to Puttaparthi (H2H Vol.6, issue II). They sympathised with me and insisted that she had merged in Swami, so I should be happy. 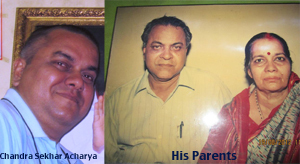 On 7th May, my father expired. I was inconsolable, because within a few days I was going to meet him as the reservations were already done and now this bolt from the blue! On reaching school I found all the children glum and teary eyed. They told me that last evening a little boy Shiva had lost his mother and now I lost my father. I won’t go into the whole story but share with you the enlightening comments of my tiny Gurus. 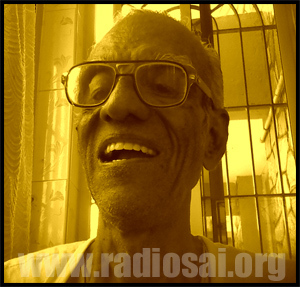 Raghu – “Teacher don’t worry, all of us are orphans now... same pinch!” With a smile he pinched my hand. 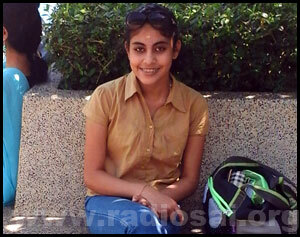 Then the most profound comment came from Ambika, an eleven year old girl. I am sure Swami will be happy to see me remembering all my Gurus on this day! A teacher is the one who is unconditionally involved in the upliftment of his student, which can only be achieved by unconditional love for the student. In that way I only see Swami as the ultimate divine Guru. Guru is not the one who grants you your wishes but he is the one who direct you to experience the reality yourself and yet protects you in his divine love. And in his presence no problems are big and hurdles are impossible to cross. And in all the teachers that have shaped me I just see him. Words cant express my gratitude for all you have given to us. This Special Day indeed from the bottom of my heart You are my True Guru, the Guru of the whole Universe . THANK YOU SO MUCH WITH ALL MY LOVE MY DEAREST SWAMI. When I could not love, Your Divine Love surged in abundance through me. When I was overcome by misery, Your comforting arms were a balm to soothe my bruises. Dearest, most beloved Bhagawan, my guru and my best friend, there's nothing but You. 'My Mother Guru' Plus 'My Balvikas Guru' Equals 'Never Ending Spritual Blessings On Me'! The true meaning of Guru is "one who dispels darkness of ignorance". Guru resembles the trinity Brahma, Vishnu and Shiva. Brahma is a creator. Guru creates or inculcates knowledge in the minds of the students. Guru is Vishnu. Lord Vishnu maintains the creation. 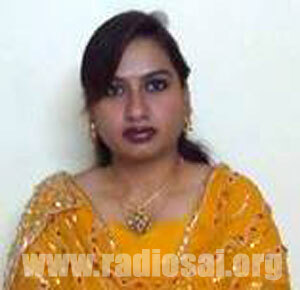 Similarly Guru helps in keeping up the knowledge. Guru is also Shiva. Shiva is the destroyer. Guru destroys or gets rid of the ignorance from the students' minds. Sri Veda Vyasa is said to be the first human teacher, who is an incarnation of Vishnu himself. This is the reason his birth day is celebrated in remembrance of Gurus. Vyasa Purnima is known as Guru Purnima. 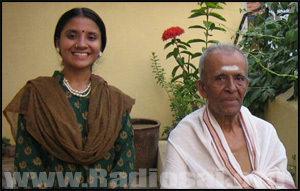 On this significant day, I offer my pranams to my sloka class teacher, Mrs. Harini Amudhan. 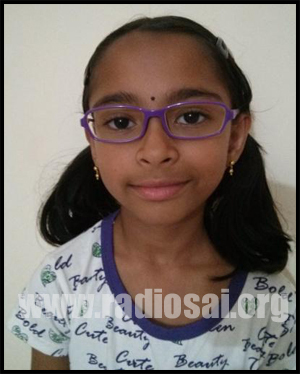 She conducts sloka classes for the young children from the age of 3. 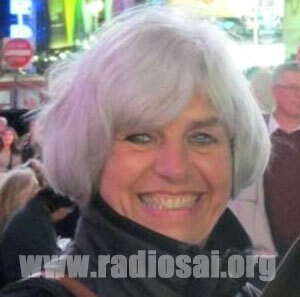 Every week end, she takes the classes and teaches us the important slokas. 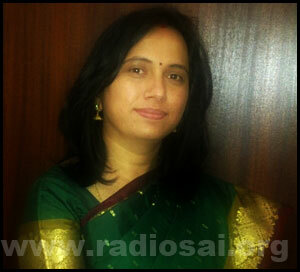 She also explains to us the meaning of such slokas and also narrates the story from the epics. 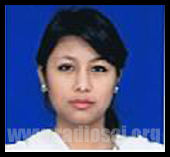 To make our belief get firm, she conducts value based activities like Quiz, Dramas, and Games etc. She does it all as a divine service and her effort are unparallel. A seed only grows in to a big tree. She has inculcated values in me, for which I am grateful to her. I have been inspired by her selfless service and dedication in imparting knowledge to the community. To such lineage of teachers, I offer my pranams. I offer my salutation to the lineage of Guru Parampara starting with lord Sadasiva, with Adi Sankara in the middle and continuing up to all my immediate teachers. My Balavikas Guru Smt. 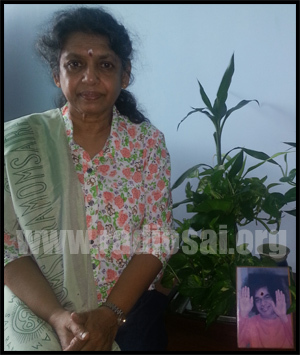 Malathi Subramanyam first showed me my Divine Satguru Bhagawan Sri Sathya Sai Baba in 1969. I and my elder sister Ms. Parvathi were fascinated by the Nagar Sankeertan done by the Sai devotees and took part regularly in this spiritual event. 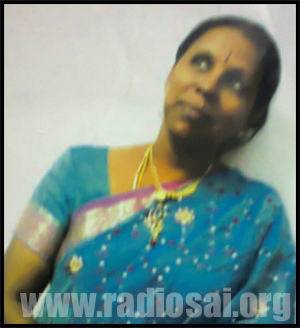 One of the Sai devotees who was our neighbor saw our interest and took both of us to meet Smt.Malathi Subramaniam who was regularly conducting Balavikas classes in our locality-Jeera in Secunderabad in Andhra Pradesh. From then our spiritual journey started in right earnest and with great fervor under the able and inspiring guidance of my Guru whom we started fondly addressing as Malathi Ma. She made the Balavikas classes very interesting by teaching us boys and girls Shlokas and Bhajans in the correct raga and with proper intonation which were always and invariably capped with fascinating stories related our beloved Swami Indian Mythology, Culture and Spirituality. As advised and desired by our beloved Swami, Balavikas classes for children were started for the first time in early 1970 by Malathi Ma in the twin cities of Hyderabad-Secunderabad in Andhra Pradesh and this legacy is continued till date by Swami’s blessings at different centers in these two cities, as mentioned in her book titled “SAI THE ULTIMATE” published in the year 2012. During summer vacations our Guru Malathi Ma used to conduct Balavikas classes everyday and initiated us into the learning of First Aid, Embroidery (for girls), Sanskrit and Yoga etc. We eagerly looked forward to these classes and learned a lot in the process. In those days when Swami was on a visit to Hyderabad, there used to be Nagar Sankeertan by Balavikas students everyday early morning which we attended regularly along with our Guru Malathi Ma and thus got the good fortune of singing Bhajans in the presence of our beloved Swami, light the Arathi and finally get vibhuthi and other kinds of prasadam from his hands. As far back as 1973 our Guru Malathi Ma started teaching Purusha Suktham and Mantra Pushpam to us the Balavikas children, who in turn were always given the opportunity of receiving our beloved Swami with Poornakumbham at Shivam whenever Swami was on a visit to Hyderabad. Malathi Ma always made it a point to take us along for singing Bhajans at Shivam during every visit of our Swami to Hyderabad. After I came out of Balavikas, our Guru Malathi Ma enabled us to conduct Balavikas classes at her residence at Jeera in Secunderabad thus turning us into blossoming Balavikas teachers and this tradition we are continuing till date since the last three decades. Malathi Ma taught us melodious bahajan songs like Oyi Rama, Anasuya Nandana, Sri Sai Shirdi Wala, Sai Ram Sai Ram, Chentha Jercha Velavamma, Sangeetha Ramayanam, Shiva Shiva Shiva Shiva Enaradha to name a few. When I came of marriageable age, our Guru Malathi Ma felt that all that I had learned over the years would go a waste if I got married into a family of non-devotees of our beloved Swami. 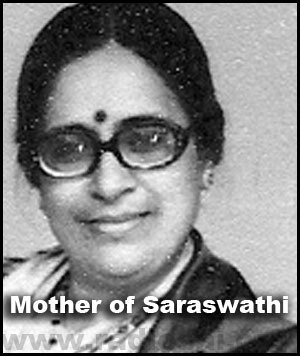 Hence with Swami’s permission and blessing she made me her daughter-in-law in 1982. 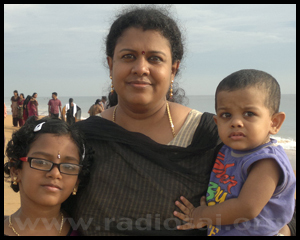 If not for Malathi Ma, I would not have come into Swami’s fold and I do not know how my life would have turned out to be. 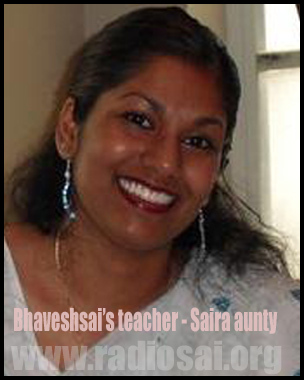 I continue to take Balavikas classes for children and also teach Vedas to elders every Saturday and Sunday. All this has been possible only because of the blessings of our beloved Swami who guided me into Malathi Ma’s able hands. Though my Guru Malathi Ma reached the Lotus Feet of our beloved Swami on March 5th, 2010, I still feel that she is very much with us guiding me in my spiritual path under the ever watchful and loving glance of our beloved Swami. 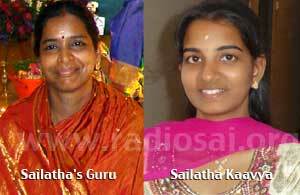 I wish and sincerely pray that Malathi Ma should be my Guru and our beloved SAI my Satguru in all my future births. 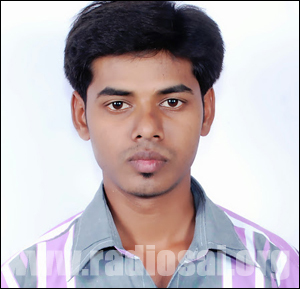 I LOVE you Malathi Ma and thank you so much. I prayerfully dedicate this to my Guru Malathi Ma and my Satguru Bhagawan Sri Sathya Sai Baba. 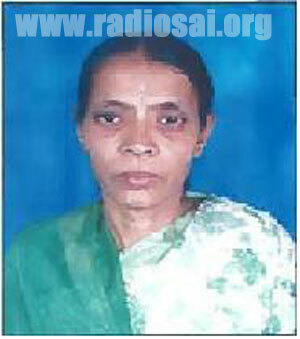 Please find herewith also attached a photo of Malathi Ma. Tears roll down my eyes, when I recalled my first "Swami Dream’’. At the age of fourteen, the assurance you provided to "wipe out my tears and to protect myself and my family’’ still lingering in my memories. Swami, your love evolved a simple DJ to a Popular TV presenter, hardly anyone knew about your direction "Go back to your studio’’ in my dream inspired this outcome, still brings tears to my eyes. When I struggled to write even few rhyming words "Take padnamaskar’’ unfolded a talent which I never knew that existed within myself. 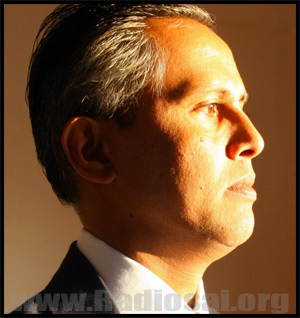 Bhagavan, You blessed me "I will make you a... Biochemist" today two decades past, standing up as a Biochemist with a heart yearning to know your next move" and how many will know, I was dumbfounded to see the ‘‘Golden Chariot" which you sat and gave me the aforementioned assurance in 1996, is the same as the one presented to you in 1997. Bhagavan, when I was "Head Hunted" and afraid to move ahead, the vision you provided ‘’ standing by the side of Chairman , inspired once again and culminating my promotion with thin the organisation as "Production Manager". Little I knew, you are making the transition from successful marketer to a Scientist... yes towards your assurance.. ("...will make you a... Biochemist"). Swami... tears rolls down again, "your blessings on the Chancellors Robe, just a day ahead of my PhD Defence, assured outstanding performance in my PhD defence. Swami, the loving glance you extended in your divine form during Sadhana Camp, 2008, assured "so called dream encounters" are nothing but a token of your infinite compassion. Bhagavan, provide me the strength and succour to serve you in all beings at all times. Let me humbly remind myself, recalling these achievements are nothing but recalling a speck of your infinite glory! You are my path and goal. Hold on to Him if you can. You can see Him in everything. Sai You are my heart and soul! Dear Swami, Words aren't enough to express how grateful I am to You. You not only have made an impact on me but on the whole world. You have guided me in each and every step. You have given me the best of the best in everything, including my family and teachers at both Balavikas and school. Whatever You have given me, I know it’s only been sent for my benefit. You have never failed to protect me. By thanking You, I am thanking everyone You have sent in my life. I know You will never let me go beyond your sight or reach; I would like to offer a bhajan at Your Divine Lotus Feet. Sai Ram to you all on Guru Poornima! We like to offer our salutations at the lotus feet of the Guru of Gurus Bhagawan Sri Sathya Sai Baba. Sathya Sai Baba says for us to live and practice his message. Now after leaving his physical form. He wants us to live our lives as his message. He has inspired us to live his message by seva activities across the globe in all countries. 3. Read Sai Literature, [Read, listen or watch Swami's discourses,etc. Starting from Guru Poornima, each one of us should live and practice his message. Gurus are like Brahma, because they create good characters in children. They are like Vishnu, as they protect all the good qualities in students. They are the like Maheswara as they destroy the bad qualities. 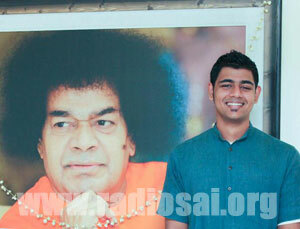 My humble salutations at the lotus feet of our Universal Guru Bhagawan Sri Sathya Sai Baba. It’s my privilege and pleasure to write on Guru on this auspicious occasion of Guru Poornima. Guru is one who dispels the darkness of our mind. When we are born in this world, we come to know that our parents are our first Guru. My journey began with my first Guru i.e. my beloved mother. In my childhood, I did not realise the value of my parents. When I grew up, I started respecting them. My mom and dad are the ones who encouraged me to know about the moral values of life. After my parents, my elder brother also inspired me to lead a meaningful life. As I grew up my parents took me to another Guru who teaches the knowledge of this world. They are my respected Teachers. In 2010, I joined Smt. Eswaramma E.M. School, which was converted from Telugu medium to English medium by the Divine Will of Swami. While studying in this temple of learning, I understood the true meaning of Guru. I've realised that our teachers are engaged to fulfil Swami’s divine mission. They always show us the way to become a part of that mission. They are so kind and compassionate towards us which are impossible to describe in words. The teachers of our school are the ones, who lead us to the path to become true human being and follow the guidelines of our Spiritual Guru, who is none other than Bhagawan Baba. He is our Universal and Eternal Guru. I would like to conclude that, we should never forget the contribution of our Gurus as they have sacrificed many things to make our future better. We should always respect them from our heart and be always thankful to them for everything they have done for our sake. I am in grade 1 and 6 years old. I love my teacher called Mrs. Tran for so many reasons . The first reason is she works really hard for her students. The second reason is she thinks really hard for our fun and work. The third reason is she teaches everything its hard to teach she still teach us new things and new games. The fourth reason is she thinks before she does anything to us. She is the best. Guru Sakshath Parambrahma Tasmai Shri Gurave Namaha"
Anyatha sharanam nasti Twameva sharanam mama..
My humble Pranams to You swami for guiding and protecting me everywhere and everytime. Swami.You are the real Guru who demarcated the path and the goal.You have blessed me with good teachers along with my life. 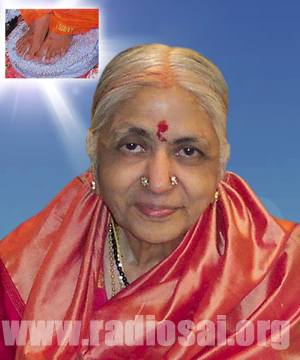 The first Guru is my Mother Smt.Satyavathi who introduced You(swami) as my eternal Guru. She taught the truth that "Swami is the Brahman". My second Guru is my Balavikas teacher, late Sri. Krishnamurty gaaru at Srikakulam. 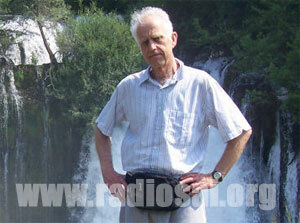 He instilled in me the path of a spiritual life with human values through educare. He gave me the opportunity to participate in Balavikas Rally in Puttaparthy. There, I have been very fortunate to experience Bhagwan's abundant love when he questioned me "Where did you come from? ", which later I realised that it was a Divine message in which Swami wanted to convey the truth "Isavasyam Idam Jagat (the entire world is permeated by God)". I always remembered his teachings in every step as a balavikas convener. My next inspiring guru in my life is my Veena Sir, Sri Ayyagaari Satyaprasad gaaru. I am very grateful to him as I not only learnt music as an art through him but also experienced that Music is Divine. I experienced his dedication as a Guru when he got concerned to rectify my mistake in a "gamaka" and suddenly came my home for the same at late night before my audition at AIR. Sweet Divine Guru, my Beloved Guru who gave me a new life - all my thanks. Thanks Divine Beloved Guru that You came to earth to awaken in me the forgotten knowledge. Thanks Divine Beloved Guru, Your teachings have given me a new life. Divine Beloved Guru, You brought me from darkness to light, from death to immortality, please take me now and help me to destroy every trace of ego so that I can get out of duality. Hug me strong with all Your love as long as we become ONE. Offering pranam’s at your lotus feet and we love you Swami. Be with us forever. You are our mother Swami. happy Swami. Please accept this product Swami. "Sai brahma, sai vishnu, sai devo maheshwaraha, sai sakshath para brahma thasmai sri sathya sai Gurave namaha." Swami... There are no correct words to express my feeling on you. I don’t know exactly, how many yugas I have crossed to reach you, I may searched you in every previous yuga but Finally in this yuga, I have seen you and attained my life worth. You have made me to realise your divine love and worth of this birth, how can I my pay my credits on You, Swami I am very thankful to You for given and giving your wonderful darshans and blessing, You have made me to chant vedam in front of You, You have supporting, guiding and guarding me in various circumstances, you have given wonderful opportunities to do service, Swami I pray you on this auspicious day please guide us, be with us, bless us in all the ways. You’re my matha, pitha, guru and dhaivam. You are of my start and destination, You’re my all. Swami... I am very thankful to be given this wonderful opportunity to express my feeling on You. “Anyatha sharanam naasthi thvameva sharanam mama thasmaath kaarunya bhavena raksha raksha sayishwara. “You are the mother and You are the father, You are the beloved and friend, You are the learning, You are the wealth, and You are everything, my Lord”. I would like to thank swami from deepest resource of my heart who loved me, cared me, guided me, guarded me, instructed me in my life. Since, from my childhood he taught me to sing Bhajans, sent me to Balvikas classes and also told me what life is all about. With his soft touch he made my life transformed. I don’t know how could I explain it on words. Thank you Swami for being part of my life and also pray to make me worthy vehicles in your hand. He is Sathya Sai who bestows peace and happiness on all. Guru means “Gunatita and Rupa Barjitam”. Swami my Guru who is beyond the Gunas and Physical Form. I am grateful to Him for showering infinite Love to me so that I can play in the divine drama as His Instrument to share that Love with all without any discrimination. My humble Pranam to Heart dwelling Swami (My Guru) for his mercy to accept me as His Disciple. Each one has its own colour to be viewed. And your gifts like a rainbow are hued. Violet is your love for each child you come to know. Indigo is your patience for the way you watch us grow. Blue is your kindness that takes its course on our motivational force. Green is your skill that makes us potentially fill. Yellow is your knowledge to show us the way, the better day. Orange is your dedication to make us tuned to life’s inspiration. Red is your smile to us, for bring up beautiful gems. In our lives you stand aloft with best teacher’s pride. For what we are today is just b’coz of you! on my way to be anchored in who I am. 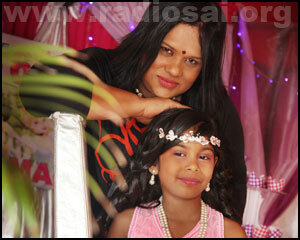 My guru whom from the bottom of my heart I call so is my Baala Vikaas guru Pavithra akka. She has been my guide, friend, sister who changed me from what I was to what I am. I was a very adamant child. If I wanted something I do be adamant and get it. 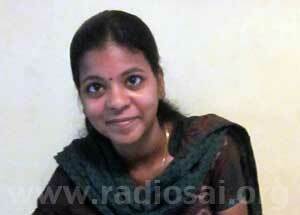 But Pavithra akka changed me. Change would not be the apt word. She transformed me. She brought me close to Swami. She made believe that there is someone above waiting to listen to me. There is someone above guiding me and guarding me. There is someone above showering mercy in bounty on me. She made me. I went wrong many a times in life. Many a wrong decisions due to my adamant nature but she guided me to eternal guru, my swami and corrected me. 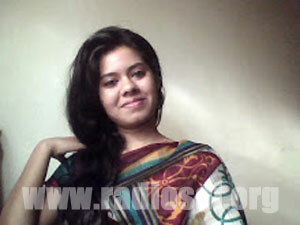 She is that perfect embodiment of love as Swami used to address. I thank my Baala Vikaas Guru from the bottom of my heart with all might, yet I fall short of words to express my gratitude for my Guru. My Guru brought me to the Eternal Guru. The embodiment of Love. The ever guiding, ever loving Sai Maa. 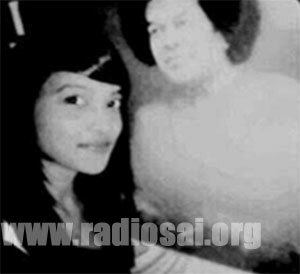 Pavithra akka was the reason for the transformation of the statement from Bhagavan Baba to Swami my dearest Sai Maa. 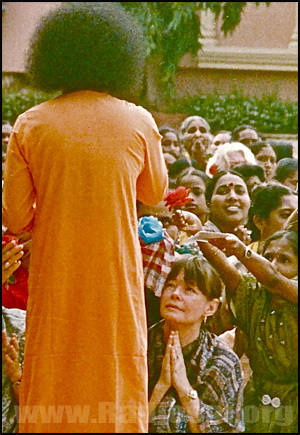 Dear Swami I always fall short of words when I have shown my gratitude for all that you have given me. Swami I would beg to differ by stating "I want to be with you always, rather than asking you to be with me. For you never leave me. But, it is I who might move away from Thee. Swami let that not happen. Let me always be under Thy cover. SWAMI... My humble offering at your LOTUS FEET. You have always been my heart and soul. You are the one who has taught me to have faith and patience. You are the one who has guided me at every step..you are the one who is instructing me to love, live, and be happy. This strength, this love, this life and this universe is yours and you are my only Guru. Oh my Guru, thank you so much for everything. Thank you for giving me loving family, loving teachers and this entire universe as my own. You have given me the best out of all. I am thankful to you for being my love, my best friend, my mother, father and my guru. Thank you for this beautiful life, the life in which I am being to know you as Sai Rama, see you, feel you and love you. Bhagawan... Guide me as always and make me able to follow the path you. Make me love the source of love... My love. I had, from my birth, brought up in a family of sports persons, my father representing the then Madras Province, in cricket. My uncles represented their college in foot-ball. But somehow I took the habits fit enough to be close to arrogance. It was till the end of the 1980s. Once a relative of mine called me to accompany her to Abbotsbury in Chennai, where one Saibaba was staying and we can get Darshan of Him. Reluctantly I accompanied her to the place and had His Darshan. Sometime later one of my sisters (cousin) asked me to come to her house for attending a Sai Bhajan session. I went as my wife persuaded me saying I should respect the invitation from the elders in the family. I went for the first time without much interest, next week I went on my own interest, third week I participated on my own and finally on the fourth I started singing Bhajans. I became a member of the Organisation, started regular service activities. Without my knowing the bad qualities in me, left. I became a soft spoken, warm, friendly and helpful person. I cannot forget the first time I took my beloved Swami's Padanamaskar in 1991. I became a totally different person from then on. There can never be better Guru than my beloved Swami, I consider myself very fortunate to come into His fold. Must be due to the Punyas I must have done in past births. I am also grateful to my Sister-in-law, who first called me to have His Darshan at Abbotsbury, and my Cousin and her husband, from whom I have learnt many good things in life, for directing me to SWAMI. They were Sai devotees for a long time. Above all, words cannot express my affection my gratitude, my love. I often realise Swami by the way He teaches, corrects me, safe-guarding me whenever in trouble. I used to remember his words "Help ever, Hurt never; Love all Serve all; Speak softly; speak sweetly; speak slowly. I am trying to follow his advice but some times I am unable to be a good disciple thus HE is Jagathguru and I am one of His devotee. I am very much grateful to my beloved friend Dr. R.Saminathan of Karaikudi and my beloved brother Sundara Srinivasan.K. of Karaikudi who showed the path of Bhagawan Sathya Saibaba and still I am remembering the chillness of Kodaikanal with sweet voice of Swami. On this occasion, I wish to pay my humble namaskarams to my gurus, Dr S.Mohan, Dr. Subbammal, Dr. P. Prema, Major Balasubramanian, Prof.Ramanathan, Prof. Pandiarajan, Dr. Vasantha, Prof. Igbal, Prof.Abdul Kadhar, S.Ranganathan Nalla Mohamed Amanullah and school teachers Arul sir, Komalavalli, Govindan, R.Nagarajan, V.Nagarajan, Muniamuthu. By remembering the words of Bhagawan "Be happy Be happy and make others happy". Swami Your words are mine . 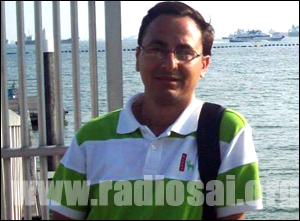 Swami Your life is Your message, and it is model to us. 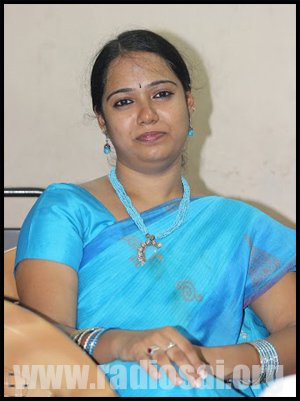 My class teacher Vandana mam is not only the one who teaches me E.V.S but also the one who is my class teacher. And I like her so much because she is so kind and friendly and I do not need to feel scared to ask her anything and I feel so happy that Swami has given me such a teacher. Whenever I reflect on my first visit to Parthy way back in1948 followed by several interviews with SPARSHANA, SAMBASHANA AND PADANAMASKARAMS, I am filled with joy and ecstacy. It is beyond doubt that Swamy is very much with us at all times. We are never alone and He is showering bountiful grace whenever groping in dark with knotty problems in life. How much do we owe to Swamy! Swami you are always with me. Walking in your path have been the endless joy for me and its continues. So when You are always with me I can face any extreme situations in life. You have been teaching me the real meaning of life. So for me, You are the Guru of Guru Sathguru Sayeeshwara. Baba, my Everything! From the moment when You touched my heart with Your Divine Blessings and I got overhelmed and filled with Your Love through and through, since this moment I recognise that You are present in the whole creation, in every heart, in the smallest as well as in the biggest, in the grain of sand as well as in the biggest mountain, in the smallest river as well as in the ocean and also in the stars. You are in All what exists. I am grateful for this knowledge and to be a part of this creation. My heart is pulsating along with the whole creation. All is One, All is Love, All is God! There is no separation! This is what I was experiencing through Your Blessing which will remain in my heart forever. I feel deepest love and gratitude, Thy devotee Stefi. As a toddler, YOU performed AKSHARABHYASAM for me with Your divine Hands. As a boy, YOU took me into YOUR divine school. As a Doctor, YOU took me into YOUR divine Hospital. TO BE CALLED SAI STUDENT. As I remember those beautiful days of darshan, eagerly waiting for your glimpse, swami gliding through the lines, smiling, blessing, taking letters, giving prasadam... tears of joy, spontaneously appear. Every moment, opportunity in YOUR divine presence is close to my heart and how wish to go back in TIME, to relive the golden days. As I worked in YOUR temple of Healing, a sense of joy and spirit of fulfilment dawns, to become instrument in your divine mission and it continues to be a constant thought. To BE YOUR STUDENT, as I AM YOUR PROPERTY. Our bond of love, keeps me pulsing and YOU ARE ALWAYS WITH ME, IN ME, AROUND ME, GUIDING AND GUARDING ME at every step of life. In entire of my student life I met many teachers but among them only one sir he is Laxmikanth Reddy sir department of mathematics in my class 11, I came to know about him. The way he attracted towards him and subject is miracle in my life. I am very scared of mathematics till my class 10 but when I am under his guidance he shaped me in such a way only maths subject became my favourite. The secret was only our self-confidence towards subject that he used to motivate throughout 2 years. He became like a good friend only by his inspiration and motivation and by his teaching methodology today I became a maths lecturer. So I am always grateful to you my dear sir throughout my life. For all this achievement our divine guru is creator. So swami keep us in your hands as instruments among all you became guru for me for that I am very very lucky swami. Sharanam sharanam Sathya Sai charanam. and see what that Sadguru has to say. is the one staring back from the shrine. He's the one to please, never mind all the rest. and you’ve passed your most difficult test, if the Sadguru is your friend. if you've betrayed the Sadguru and His teachings. 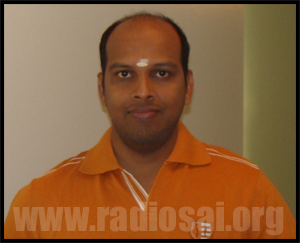 Another one related to Radiosai, my Sadguru's voice. Promise us not to go silent all of a sudden. Guru is the one who directs you towards God. One cannot reach anywhere close to the Lord without the help and blessings of the Guru. If the Guru wills then everything is possible. I wish to pay my respects to my Guru Dr. N. Sivakumar – senior faculty member at the SSSIHL, Brindavan, Bengaluru who helped me to study directly under my Lord Bhagawan Sri Sathya Sai Baba. It was in the year 2001 when after about 3 years of work experience I had a desire to further my education with a MBA degree. 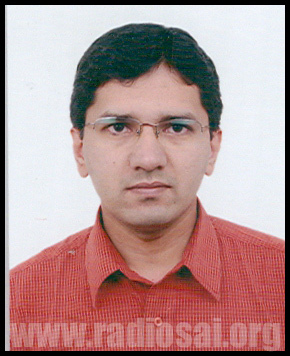 An alumni co-brother guided me to the MBA programme of SSSIHL. Soon I had the letter from the institute asking me to get ready and be prepared for the gruelling entrance examination of the institute. Books I had many, Time I had in sufficient amount but Confidence I lacked completely. This was when my Guru came into the limelight who took upon himself the arduous task of teaching me to face the task ahead. He taught the subjects of the entrance examination to me, encouraged me with his talks and administered many a mock test on me to strengthen my belief that I can pass the examination with some extra effort from my side. He also advised me that this is the best institute to earn the MBA degree from as it is the Lord Himself who is teaching you here. Those words of advice did have its miracle effect; I studied well, wrote the entrance examination to the best of my capability and did well in the group discussion as well. I soon found myself sitting in the students’ block of Sai Kulwant hall amongst many other students who presumably would have gone through the same rigour that I had. 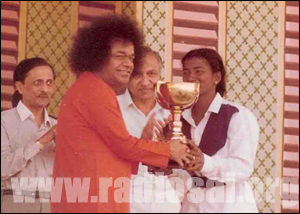 My Guru was happy, I was elated as at that time this student in white was no longer an ordinary student but was recognized as a Sai Student. I was directly under the care of my Lord Bhagawan Sri Sathya Sai Baba for the MBA programme from 2002-2004. I thank you Sir for having inspired me during my student days and sparing your efforts in helping me reach where I am now. I share my humble gratitude to the entire teaching fraternity who help students come up in life with quality education. Saima, there are no words that can express the innumerable things that you have done and are being done by you for which we cannot bind by the word ‘THANK YOU’, which is why the above verse aptly describe the love affection and care that you have showered on us. You have been my mother, father, guru and above all my best friend all though these years being there for me whenever I wanted you. You have been the inner voice that I listen when I pray before making any decision pertaining to any small thing. Whatever I’m today is because of your blessings that you have showered upon my family all through these years. Though my parents have attained your lotus feet, you have been there for me as my mother and father always. As a guru you are there to enlighten us with your wisdom to guide and show us the correct path. I still cannot forget the day when I had the privilege to see the orange robe in Parthi flowing vibrantly all through the darshan hall during the 1998 service for the inauguration of hill view stadium. It was a mighty task that had to be accomplished, but your blessings and supervision saw this pass through with everyone who had assembled to view the exhibition match go back with their hearts and stomach full. Looking at the massive crowd we all had one doubt that would be food suffices for all the people, but you still had your own way of making things happen. The food packet once we started distributing was like an akshaya vessel with the packets never ending. You have been the guiding factor in my life till date and you will always be. It’s your eyes that speak when we look into you guiding us and providing us the key for all the obstacles in our life. As you said “Love all serve all” we as your children will always strive to achieve this. As you have said in your Shirdi Sai avatar “MY TOMB SHALL BLESS AND SPEAK TO THE NEEDS OF THE DEVOTEES” we always will run to our home the BHOO LOGA VAIKUNTAM “Prashanti Mandir”, to have a glimpse of your darshan and seek your blessings. Bless the whole universe with peace and prosperity and make this entire world a heaven by your love and blessings. When I live in the worldly darkness of ignorance, Your teaching had given me spiritual wisdom light in my heart. Before it become beacon light, I think by taking our physical ailment, You left us. Now, You are the guiding light in the Spiritual Heart. But your students became beacon lights, by following Your teachings, and world will get attracted by their satwik living and follow their footsteps. They are the messengers of Yours by teaching the world, how to live. Only we should remember this... as promised by Him in Loving God book written by late N. Kasturi... in the Last chapter of the book. To my beloved dearest loving sweet lord Bhagawan Sri Sathya Sai Maa. Swami, you are guru god & embodiment of love to me & for all the devotees. I experience swami with his unconditional, pure love with his five values and five D's of his teachings to lead us to walk with him right path, with truth. I don't require torchlight or a hurricane to lantern or petromax lamp to see the shining Moon. Our beloved Swami is Moon, Sun, Guru, Master, god & everything to me. I can see our beloved sweet mother of his own light of Guru & God. If we want to see Swami Guru, we can visualize with our own inner vision with his form or formless. It comes when we develop purity in heart, steadiness and sacredness. My beloved Guru God, Master is Sri Sathya Sai Maa. Swami is embodiment my eternal bliss. He is always in my life to guide, protect and showering his love, care, grace, strength & blessings always to me & all other devotees forever day & night. Swami is our Guru, Master, God, everlasting Sun & the Moon. My humble gratitude for my dearest beloved Sai Sadguru. Lots of hugs & kisses to Swami on this special day of Guru Poornima day & always. Let us pray to our Guru Swami to shine his glory to all of us to lead a happy peaceful healthy life forever to carry on his mission & messages to walk with him. Without Swami in our life, we all are lost in this world. Let us pray to Guru, God to lead our life service selflessly with love. Everyone has somebody who has made a big impact on their life. 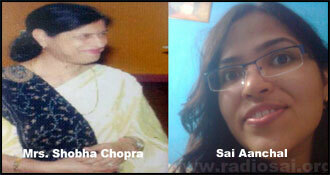 For me the Guru who had the most impact in my life is my SSE teacher, Saira aunty. Some reasons that Saira aunty has made a very big impact on me are the valuable lessons about the five human values (Truth, right conduct, peace, love and nonviolence) and about Swami’s life and teachings. The lessons helped me focus more in school, be kind to everybody, and be responsible. Learning about Swami’s teachings helped me by making me a better person and made a very big difference in my behaviour. That is why I am very grateful to Saira aunty for teaching so many important lessons on this auspicious day, Guru Poornima. Sairam. My beloved Father and Mother Sai Maa! I really never knew, you were so loving and caring when I came in your fold. I am so surprised and happy when I think of how much love and grace You have showered on me time to time. I think i should have experienced Your love and grace earlier. It would have saved me a lot of troubles. I pray for those left behind that You would wrap Your everlasting arms around them and provide them comfort, for You are the God of all. Thank You Swami For Showering Me Not To Rely On Only Emotions. Thank You Swami For All The Blessings And All The Times Of Sorrow. Thathank You Swami For Always Being There, Even When I Forget You. Thank You Swami For Giving Me More Than I Deserve. Thank You Swami For Letting Me Experience Joy While Being Able To Glorify Your Name. Thank You Swami For Making Me. Thank You Swami For The Way You Continue To Mould Me. Thank You Swami For Lifting Me Up When I Am Down. Thank You Swami For Giving Me A Great Love For Music And Especially On Bhajans. Thank You For Giving Me The Passion To Love And Care. Where Would I Go But To You O! Swami? I wish I was a devotee all my life, but 4 the last 18 years been a devotee feels a life time of bliss. Thank you Swami for being part of our lives (my daughter and mine). When I call out to you Swami, I see miracles happen, thank you. We been through hurdles which you helped us jump, when we were drowning you saved us. You been there through sickness and health, through good and bad and most of all you gave us guidance with your teachings. I hope we meet in another world so I can thank you. Swami, thank you for everything that has happened in my life - the good and bad. You know what each one of us need in our life's journey and is always with us guiding and teaching. You are no longer in your body but I feel your presence all the time wherever I am. But I still miss your physical form. Thank you for giving me my present guru. I see You in him, You both are one and the same. Love you both with all my heart and soul. I have one request to you both. Please be with me eternally. I will never let go of your feet. My parents are my most revered Gurus. They cared for and nurtured my physical body and soul. They've dedicated their lives to teach me right from wrong, and steer me towards the path of God realisation. My teachers at school have always motivated me and given me adequate knowledge to sustain a happy life here on earth. I thank you Dear Gurus. I appreciate my Balvikas Gurus, for teaching me Human Values and making me into the person I am today. I have been blessed to know Swami from a very young age and I dedicate all of my life to him. I love you Swami. 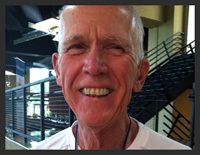 I love my Gurus and thank them for everything they have taught me and continue to teach me. On the occasion of Guru Poornima, I want to express my heartfelt gratitude to our divine Sathguru Bhagavan Sri Sathya Sai Baba. We are so blessed to be present on earth at the time of this most powerful, unprecedented Avathar. He is the one who is guiding each and every one of His children slowly but surely towards the realisation of the Truth of who we are. We will probably never understand or realise the enormity of all that He is doing for us - blessing us with the right experiences needed for our growth, the right people in our lives at the right time to help and guide us, and prompting and guiding as the Inner Voice, when we care to listen. May we be blessed always with the right guidance and strength to fulfil His will for us. I am 67 years old lady. I am thankful to h2h for giving me chance to express my feelings towards my guru “Swami”; yes, Swami is my only Guru who always guided me in every phase of life. At the time of any difficulty swami send for me help or guided in other way. Swami you taught me to follow the right path of truth and I promise you Swami that I will always follow your teachings. Swami you permitted me to do translations of your moral stories, your sayings and other spiritual literature in Hindi language for the Hindi magazine ‘Sai Samachar” being published from Lucknow U.P. for Hindi readers. I feel blessed for doing this small work given by you Swami. There are also some other gurus like mata pita teachers but all are your form so I feel very grateful for them also. Swami, please shower your grace upon me and all devotees. Once again my guru, my Swami, I love you. No word can really express what the heart feels when Baba enters to transform and enlighten the life of anyone, but at least expressing gratitude to Whom is beyond words in this form, is an action that is worthy. With this poem I try to describe an experience that happened to me years ago, a vision of a place I've never seen before, where Swami was surrounded by many people, talking and teaching them. With time, I learned that the place really exists (Brindavan) and was a point of reunion for devotees, where He used to give darshan. At that time, I was unable to travel. However, that was the beginning of a soul journey, from a heart with an unstable faith to complete surrender. Thank you Swami! You are always with us! It is with humility and gratitude that I dedicate every moment of this life to the One who is the closest of close, the friend of all friends; who is not affected by praise or blame; resists nothing; judges nothing; and accepts all of us as we are because he looks into our hearts and sees only Himself...And this is His greatest lesson...my Beloved Bhagavan Sri Sathya Sai Baba. surely, It will lead us to him. Sai, from whom we have come. Sai, to him we go, In him we merge. Salutations to our JagathGuru Sri Sai Guru! A candle lit at a corner lightens up the entire premises. Then let us imagine our life's sojourn as the expansive Kulwant hall with the glowing chandelier lights spreading a divine aura all over the precincts. What a marvellous sight it would be! Our Gurus are like the lights in the chandelier that adds beauty even to the glass crystals. From Kindergarten to University, all our gurus play the role of gardeners who nurture us with valuable nutrients, trim our wrongdoings, and shield us from the chillness of filth and the heat of hatred. Like carpenters, they chisel us into perfect instruments scarifying the dirt from our inner being. Our Balvikas gurus lay a strong foundation, building us block by block in the divine construction such that every cell of ours follows His teachings, every limb performs His action and every breath echoes His name. I take this opportunity to convey my love and regards to all my teachers from kindergarten to 10th(Chennai), teachers of Sri Sathya Sai Higher Secondary School, my lecturers and professors from Sri Sathya Sai Institute of Higher Learning(Anantapur Campus) , my music teachers, my classical dance teachers, my Balvikas gurus, my veena teacher and my bhajan gurus. My love to my parents who are my first, the best and evergreen gurus and also my grandparents, my special gurus. My special love to my maternal grandfather Sri S.R. Ayuthanaman whom I consider as my Atma-Guru, because of whom I am what I am today. My grandfather would always mention,"Balaadapi Sukhadapi", meaning" we must learn from a child and also from a parrot." "Dear thatha, Thanks may not suffice for the knowledge you shared with me, but I promise that I would make all efforts to follow you instructions at every step." Sweet Sai, I find beauty in all things because I see them through your eyes. Even now, years after your passing from physical form, you help me awaken; you share with me through dreams. My books run rich with deep spiritual insight because you write them through me. I dedicate “The Gardens of Ailana” to you because your heart pulses through every word. I dedicate “The Mourning After” to you in hopes I may live to visit you in your next form. Thank you. I don’t know how can I thank you for all what you have done for me, for transformation, your immense Love and Grace? You always guide me, protect me, and gave me the courage, strength, love and bless to overcome all the issue worldly or spiritual desire. No one can explain your leelas. No one can ever comprehend your divine power. Just not only me, the whole world filled with your love, compassion, and You attracted millions of hearts to love them, transform them, work through them, live in them, and still You will call more hearts, one by one, until all little hearts are united in Your great Divine Heart. You will expand until the whole universe is fulfilled with bliss and Divinity, singing Your Glory, and even stars will adorn Your Lotus feet in Joy. There is no need to speak more, you are our mother and our father, sad guru Sai Baba, Swami you are dweller in our hearts. Please tell me how can I express my gratitude? It will never be enough! What can I give you in return? I have nothing to give, for everything belongs to you, even this little yearning heart! You are in me, I am in you, and there is only one Love, this is GOD. So I thank you with Your Love, with yourself, our Swami, you are ours everything. Oh Sad Guru Swami’s I love you. Hey Prabhu apney in bachono ko apni kripa drishti dena!! My Guru helped me to understand live, to stay in the body and go for my duty. I am thankful to be still alive. This took me up to now 47 years. I am 75 years old. Humble salutations to the lotus feet of The Ever Loving Swami. I would like to dedicate this Guru Purnima to all my Gurus who have been a guiding light to me all my life. First, to all I would like to thank all my Balvikas Gurus of because of whom my dream of Graduating under Sai's fold is coming true this 19th of July 2014. 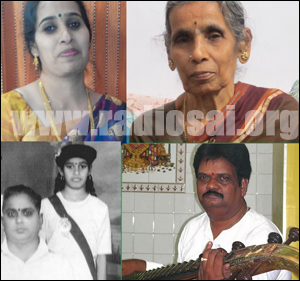 They are Aunt Syamala, Aunt Sooria, Aunt Rama, Sis Nanda, Aunt Chan, Aunt Shuroma, Aunt Padma, Bro.Mahavishnu, Sis. Shushinta and Sis. 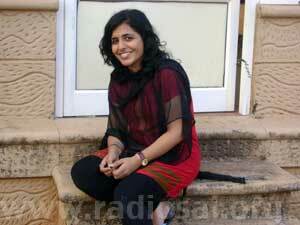 Suguntha. It is because of them that we the Sai children have manage to experience the bliss of being a Sai warrior, a Sai medium and Sai's hope of spreading His love. Also not forgetting those Gurus who have deceased from sight but not our hearts. 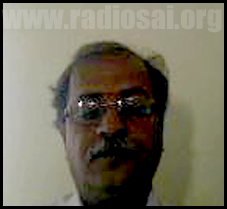 This is none other than Uncle Venugopal who showed us the way a man or probably a Sai Child should live. He lived like a legacy and by the time he passed, he set an exemplary to all of us that if you want to live, this is how you should live. I would also like to thank all my Gurus who have been my source of inspiration to me in Music namely, Shri Sumeet Tappoo ji and Shri Shankar Mahadevan ji. They have spread love through their magnificent Music and turned various hearts towards God through their Music. Last but not least, I would also like to thank my Best Friend Forever (Swami), for not letting me down during my tough times. Thank you for showing me the right way for me to walk across this Ocean of Samsara. Oh Lord Baba, thank you for being part of me, my life and my soul. My prayers to you is that, make my love for You grow stronger day by day that we both can't live without each other even for a second. Love you Swami, love You for the way You have been. Words are insufficient to express my gratitude and love for my first teachers, my Parents. Guru is one who removes our ignorance, the darkness that surrounds our life and infuses light from within. I owe the upliftment in my life to Bhagawan who inspires love from within and guides us in the best path life offers, the path of Bhakti or Unconditional Love. Every moment life opens itself for me and all I have to do is accept things and people that come into life and share my love and receive the same in return. Love is both logic & magic which works wonders in our mundane life. If you know Him, nothing else matters. If you Love Him, nothing else matters. Who is HE? He is you; you are Him, united forever. "When one door closes, the other door opens..." this is always taught by my guru none other than my brother Sujay... the inspiration. This made me stand during difficulties... His words always lead to my success... Sai Ram, thanks for giving me the world's best guru... Anna... thanks for everything. When God gave us a place on earth, he surrounded us by many people who are instrumental in moulding us on this journey of life…Nurturing and caring for us, often giving us a nudge in the right direction. Swami has given me a remarkable Dad & I have found a Guru in him, he has over the years, inspired me with his mellifluous music, his service to society & his immense Love for God. A True servant in this Mission of Sai. Circumstances has taken you away, but the time spent with you through those 18years… an indelible etch in my heart it leaves. I express my gratitude to you, dad … you have paved the way for me. How fortunate indeed am I to have our beloved Swami as mother, father, guru and guide. Through the infinite love and mercy that Bhagawan showers on me every day & through the lessons he has taught me by way of his life on earth. How many times has he been there to sponge my sadness, remove a doubt and make his omnipresence felt. Every time I’m in distress and I call on you Swami, I know you lift my spirits instantaneously. You protect me like the eyelids protect the eyes. When I trip and stumble on this journey of life, you’re always there… teaching me how to get back up, holding my hand and shining your light throughout this experience. Above all I’m eternally grateful to you, Dearest Swami… for being my Eternal Guru and God. To me, my parents have been my very first Gurus. On this auspicious occasion of Guru Poornima, I seek their blessings. My father, who merged in Bhagawan exactly on this day one year back, has always been my friend, philosopher and guide of my life. I miss him in my daily life. Bhagawan has blessed me in this life to get such virtuous parents. My beloved Balvikas guru has guided me in so many aspects that it would take hours to recollect .My humble salutations to my beloved guru. Would love to highlight a few aspects which I learnt from my guru during the Balvikas classes which I consider has helped me a lot. 1. To always discriminate between right and wrong and courageously pursue the right path. 2. Not to join bad company even under great peer pressure. 3. Not to take the credit fully for every good thing but to remember with gratitude and thank god and all those who helped. 4 To chant slokas in the morning and before sleep without fail. 5. To daily do namaskars to parents daily whenever we are with them. 6. Never talk more than necessary. 7. To be aware that we are never alone and Bhagawan is always with us and waiting to guide and help us. Hence to seek Bhagawan’s guidance when we feel like and have any fear or anxiety. 8. Never to talk ill of anyone in their absence, instead to tell them politely on the face if we feel something is not right. 9. To be contented and not to compare and be greedy or jealous. 10. To do atleast minimum possible help to the needy. If nothing is possible to atleast pray for them. Swami is everything to me. He orchestrated my life and gave me all my teachers and guides. I want to devote this short letter to one of them. It happened about 45 years ago when I was 20 years old and quite confused young man. Asher Shimoni (his name means happiness in Hebrew) asked me if I want to play with him a game (I met him by chance on the beach and we did not know each other). In a few minutes he was able to water my soul with golden words of courage and wisdom that were for me then like water to a man dying from thirst in a desert. This brief meeting blossomed into a life-long friendship until my friend passed away about 7 years later. I will never forget Asher and I am sending him waves of gratitude while I know that the eternal witness is watching the show :). Thank you, Swami! My Guru, Bhagawan Sri Sathya Sai Baba comes to my rescue whenever I feel the need. 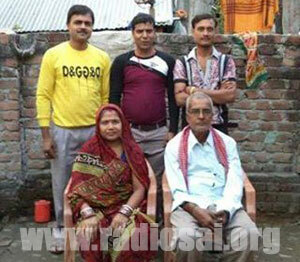 Before my marriage I was with my family following Arya Samaj. Mantras & Havan formed a part of my life. After marriage Sai entered my life. It's Sai, Sai & Sai now that I think of none else. I'm a doctor but He has doctored my life. Me, my children Ayush & Sathyam, my husband all are under His umbrella. Thank you my guru for had you not been it would have been a bitter world. bliss never leaves those who discriminate with none. There is more kindness than we know in the World because so often through humility it remains hidden; a friend who has done the most wonderful service but who only told me of it when pressed; a monk who eschews the gown and the monastery for everyday worker clothes and a modest flat in NYC, but who is to my mind the more monkishly devout because of his simple humility. 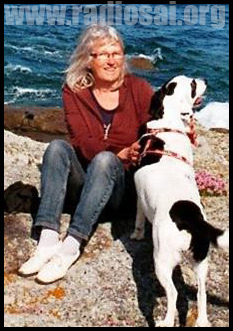 I have another friend who has worked for 60 years in service to her church and the far broader Church of the World of which we are all members, like it or not. Her work has affected hundreds of lives and has left a legacy for thousands more. I knew her for 6 years before I realised she was even ‘religious’. These people talk about their deeds only when necessary, otherwise they simply live and ‘do’. Someone I have known for 3 years at the gym heard me talking about our planned trip to India and mentioned that she is half Indian! I simply never notice folk’s colour, or sexuality for that matter, so this was an interesting and timely surprise. She gave me all sorts of tips about India and after much prodding she told me of how she and her husband were the reason a new library was built in a tiny, desperately poor village near Delhi, her home town. Indians love books but the poorest among them get to see very few. She thought of English children with laden bookshelves in their bedrooms and decided to ask each child in Kendal to gift one of their books to this village. She distributed book plates to all the Kendal children so they could fill in their names, something about themselves and their school addresses to encourage pen pal friendships. From several hundred children she received thousands of books which took over her living room and spare bedroom. She approached her husband’s company, Clarks’ Shoes, for help and they funded the crates and shipping costs. The books were dispatched by ship, transported overland by bullock carts and safely arrived in the Village. The villagers then promptly built a basic library to house them and when my friend visited some time later all the books were immaculately displayed and recorded with the fastidious attention to detail Indians are so good at. The library was full of children lost in books. The monk in mufti is Khyongla Rato Rinpoche, founder of The Tibet Centre in New York. He lives in a small flat with his cat and for a long time he worked stacking shelves in the local supermarket. He is a monk among monks but chose to relinquish the red gown and monastic retreat, feeling that, for him, this way of life was too visible and possibly ego-led. Such simple humility and dedication so modestly hidden. I carry his smiling face in my heart. My other reticent friend would not want me to sing her praises here so I shall honour her wishes and not embarrass her. I love that there must be countless other kindnesses lurking behind the silence of so many other special people. I am also absolutely sure that their gentle and often dogged compassion engenders kindnesses in all those they meet and affect. And they will never know the difference they make. My thanks and Love to Sathya Sai Baba, with whom we are all so much more. My first Guru in my life is my mother who was so caring , loving and affectionate and guided in innumerable circumstances and taught so many things and how to be confident and solve any Problems which comes. Second Guru is my Father who has given me moral support and also guided in my education and career. Apart from this I was inspired with his ideas/thought related to service oriented activities and he himself was a member. As Such he himself was Guruswami in Ayappa temple and carried out so many services. I am very thankful and express my heartfelt gratitude and pay tribute to my parent without whom my existence will not be there. Then comes my school and college teachers/lectures who played a major role in moulding my life style. Even though I am not remembering all of them but I express my sincere thanks and regards to all of them who have given me good foundation and perfection. I pray to our Lord that let them be blessed with good health happiness and all their desires are fulfilled. From my childhood to present moment I have come across many people but the divine/special Person who have inspired me is our lord Bhagawan Sathya Sai / Sai Ram /Sai Baba. He has guided me in all difficult situations and taught how to solve the problems and give us confidence to get through it. He taught us about the human values/, importance of Seva and so many valuable things and which I am following strictly in my day to day activities. My special Guru is our Bhagawan Sathya Sai. I express my Love and heartfelt gratitude to him which Cannot be express in words and the feelings will always be there in my heart till my entire life span. 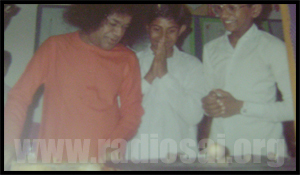 The day I was associated with our Bhagawan, He was my Guru /is my Guru/ and will be my Guru. 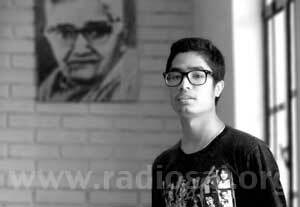 I thank Radio Sai Team for giving opportunity to share our views and express our gratitude to our Guru on the auspicious occasion of GURU PURNIMA DAY. We are all learning something new every day. Life seems to be the biggest teacher. I very much remember those days when I struggled to make a mark in my academics. I never thought playing without doing my daily home work will take me through the darker roads. 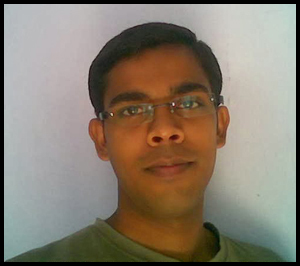 There was this teacher, whom I admired right from my class 4th. And seeing her would make my day. Like I said, when I was not able to perform in my studies and produce the expected marks, I was put into a lot of pressure. I lost all my confidence to clear my final exams. And I feared of getting detained in the same class next year. I cried helplessly and that is when this special teacher secretly took hold of my pain and helped me in my studies. She was strict then. I had never seen this side of her face. She would not smile at me, may be she was sad that I had under performed for no reason. And that made me study harder. I never liked to see her without a smile. And the most awaited day came. My results. I had written quiet well, but I could not predict the result. I had nightmares during the beginning of the summer holidays. I could not believe when my teachers told me that I had passed with above ninety plus in all the subjects. And I got an award for overall outstanding performance. And it means a lot to me even now. She was a little angel, God sent me. Every other teacher were special to me and it would take lot of time to share it with all out there. But that does not stop me from thanking each of them, as they have made me the person I am today. Sairam. Swami is the only God I adore, love and worship from my childhood. He is my sadguru who leads me to light and guides me in every step of my life. I dedicate this poem at His lotus feet. O Sweet Sai, You are like honey on pie. Without You, there is no essence of my life. Beloved Sai, You are like rainbow in sky. Without You, there is no enrichment of my life. Dear Sai, You are like composer of magnum opera. Without you there would not be magnificient universe. Let me begin by thanking the H2H team for taking up this unprecedented initiative of giving a chance to the humanity of paying gratitude to their Teachers on this auspicious occasion of Guru Poornima. This indeed makes the Guru of Gurus, our Sai most happy ever. I take this humble opportunity of offering my reverential pranams to my only Guru, Sri Sathya Sai, who has been and will be my everything all through my life. He has brought with Him several teachers in to my life and that has made me what I am today. To start with, it was Swami who brought my parents without whom I would not have come to this world or write any gratitude letter like this. Thanks for the opportunity again as it let me go down the memory lane as to how they took every step to mould me since me birth and brought me up like this. It is only because of my parents that I got in to Swami's college in 2001 for 11th class as previously I was myself not confident when my marks were not even average. 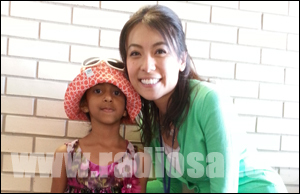 She instilled in me the faith, confidence and perseverance to reach the goal. She said, 'You put your 75% wholeheartedly, the rest 25% He will take care of.' And that still rings in my ears. I would also like to pay my gratitude to a few of my teachers who have been my role models. Shine Jeecob and Merlin Anthony were my English teachers for my 10th class. They were very concerned about me as I scored just a passing mark i.e. 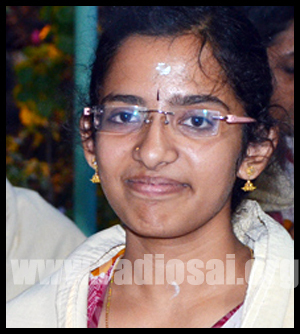 35/100 in 10th board exams and the required mark was 55/100 to get admission at Swami's college. Initially, it was Swami's grace that I got in to His College and later during my days in His hostel I used to keep remembering their advice which eventually led me to score 75/100 in 12th board exam. Even during my education at Swami College I had teachers though for a short span, were always very helpful to me. In conclusion, I would like to just share and pray that all throughout my life so far Swami has been sending great people as and when required; to whom I will ever be in gratitude and also pray to Swami that let them be happy, healthy and peaceful all through their lives. I could never touch the Lotus Feet and I pray to you to grant me that precious boon. As we are engaged every day in the duties assigned by You; at every opportunity that we are able to put a smile on someone else’s face, at every chance we are able to lend a helping hand, our heart goes out to You Swami, in deep gratitude and surrender. As each day passes, we feel your love more and more in greater measure and in higher degree. Swami, whatever we may do, in whichever project we may be engaged in, whatever be the role and responsibility that we are assigned with, please bless us such that we may never ever fail to feel your presence. We are seeking your proximity and to be blessed with the opportunity of serving directly in your mission as nothing can add more meaning to our lives than savouring your love, living and serving in your presence. Now even though Swami we are no more privileged to bask in your physical proximity, we are still able to continue to bask in your unmistakable presence within, and most mystifying omnipresence without. We cannot even imagine where and how we would have been if You would not have come to our lives at the right moment and so generously conferred on us this divine presence and divine munificence of yours. We know swami you are as near to us as ever. You are as close to us as ever; ever guiding, ever protecting, ever inspiring and ever blessing. In every moment of our life, please be with us. We cannot live without you Swami. Thank you Swami. I love you so so much. The most endearing teacher you can approach at any time, bringing you the love of Sai and tirelessly spreading his message all over the world... just a click away and we have beautiful videos for the eyes to feast on, soothing words for every lonely heart, musical melodies for all maladies, and when you fall sick, you can just close your eyes listening to those nectarine words which heal you better than any other medicine, bringing sathwic food to the senses... Parents are often worried to see their children glued to computers but Radio Sai serves as a great boon for them... it is being continuously played... playing the role of a Bal vikas teacher or satsang. 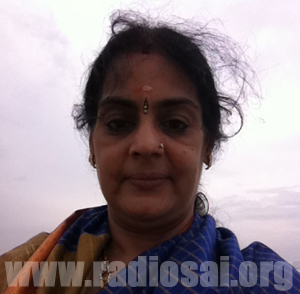 Grateful thanks to our wonderful TEACHER RADIO SAI... guiding us SAIwards... boosting our morale in Swami's mission. Sairam. My humble namaskarams to all those who were and still are my guiding factor in each phase of my life. This beautiful song is dedicated to everybody who has inspired and guided me and has been guiding me till date. Daddy and Amma – Well daddy was a fear factor for me from my childhood days but that has made me so much independent and strong. In a way he is my hidden Guru. Amma, I confide, talk, discuss, take suggestions, she is there for me ever. Be it my decision to call off my wedding or quit my job, she would have shed more tears than me. Since we cannot see God, we got our Parents, our First Guru. 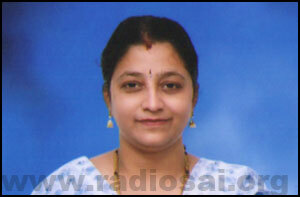 My Teacher – Mrs. Grace in Class XI, reposed so much trust in me and have me admitted in her school. Ma’am I will never forget you. My Friends – There are many from the letter A – Z. Just a call from me, they are here for me. 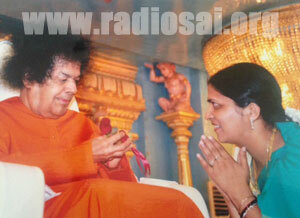 Swami – Reading Satcharithra, looking at Swami’s picture gives so much solace. But I wanted a Guru with whom I could share everything under the sun. Baba heard my heart felt request and gave me a Guru. The moment I got his darshan, out came tears as if it was waiting for the flood gates to be opened. He knows me in and out. I am one among his many who have come into his fold. I do get angry with him and complain to Swami that my Guru is quite busy for me. But somehow the problem gets solved. To all of them, I have not offered any Guru Dakshina but they continue to offer their service whenever I need them. I am grateful for each and every one of these inspiring souls. can become one of Awareness for Existence . God's breath infused in clay makes a man Humane. Blessings, one finds the Truth. The very Truth which holds the Light towards MokshaPrapti. Living for Life, is Loving God. The One who holds your hand, Eternally. becomes the very nature of your soul. You have given a life to us, kindly bless us to lead a meaningful life...!! You have given us these legs, bless us the courage to walk this journey of life..!! It’s You who taught us to talk, otherwise we were speechless. And now while we talk, let every word spoken by us be meaningful...!! Bless us to balance our wavering thoughts, Oh my dear Sai help us to control our emotions...!! we'll not accept even an ocean from anyone, but just a tiny drop from You is a mighty ocean for us...!! 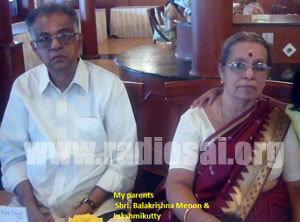 For me my parents are my Guru who introduced me and my brother/sisters to our Divine Guru, Bhagawan Sri Sathya Saibaba. My father's teachings based on Swami's teachings have helped me to walk on the right path till now. Though I can’t be exemplary as my father who is serving his 94 years old mother (my grandmother) at our village with his 75 years frail body, but I always try to follow my father who is my real Guru in this life. My humble pranams at the lotus feet of my father and mother my gurus on eve of holy Guru Purnima. You guided me when I was groping in the thick forest of darkness, of ignorance. You removed my obstacles or impediments, dangers, snares, pitfalls on the spiritual path. When I was a young aspirant you gave me the opportunity to live under Your guidance for some years. You taught us the perfect obedience, humility and protected me from arrogance and conceitedness. You inspired me when I am depressed, removed my doubts when I came across stumbling blocks on the path, and shown me the right path. Guru is your sole refuge and support. 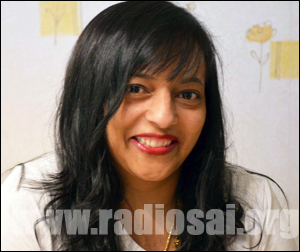 First of all, let me introduce myself to the H2H readers, my name is Miss Janu Vaswani, female, 53 years of age, single, lived in Hong Kong since age of 1 year. Born in Philippines on 18th March 1961, I am a blind Indian lady, educated in Hong Kong; I can speak Chinese, English, Hindi, Sindhi etc. My occupation is a volunteer and I’ve been working as a volunteer since 1982 at the Hong Kong society for the blind. 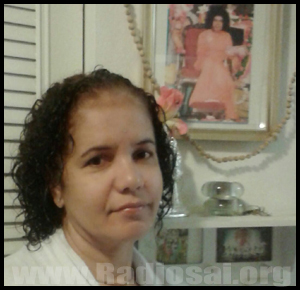 Since 1978 I began joining the Sathya Sai organisation and the first thing I began was singing bhajans on 24th, November, then my Balvikas life began on 30th November that same year. Please note, during my time, when I use to attend balvikas classes, Mr. Martin Mahtani, Mrs. Jyoti Mahtani, Miss. Shermila Mahtani, Mr. Chandru Daswani, Mrs. Gopi Jaisinghani, Mr. Gurum were kind enough to teach us prayers, bhajans, stories of different saints, such as: Rama, Krishna, Sathya Sai baba, Shirdi Sai baba, Jesus, Allah, and others well, Suprabhatam was taught by Mr. Chandru Daswani, bhajans were taught by Mr. Sai Deepak, Mrs. Padu Nainani. Please note, once I was a Balvikas bhajan guru for some time, but these people had dropped me out. 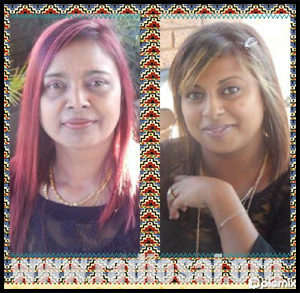 But now I am a musician on a daily basis, I play harmonium for different gatherings daily. I give thanks to all my Balvikas gurus for their time and efforts which they've put. I also give thanks to the h2h team for giving me this opportunity to write this short article to share with the readers about my life in Balvikas. I studied in a Mission School long back. I don't remember all my teachers except one Mr. C.J.R. 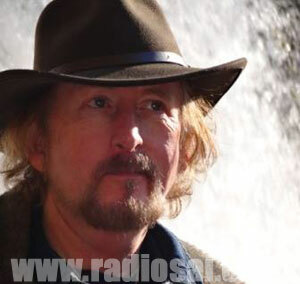 Price, from Australia, who was the Principal and who joined us in our daily prayer meetings, to sing the school song, the motto of which is to be upright any time, everywhere. Even today the song rings in me loud and clear, after many many decades. His moral teachings in prayer hall, his commitment, service, sacrifice and above all his love and personal touch with students and parents, certainly influenced my life tremendously, in my formative years and widened my horizons. I take this opportunity on this sacred GURU PURNIMA day to pay my respects and homage to this great SOUL. Who else can be the Guru for me except You? You’re the one who sends these teachers my way when I am doubtful, or when I just need physical assistance with mundane things. If I thank you, that means I am thanking everyone who made a “difference” in my life. I’m thankful for all You have done for me Swami: for giving me a life in which I can serve You and love You, for giving me a wonderful family who supports and encourages me to follow a path that You have laid out for me, for giving me wonderful SSE teachers who are always encouraging us to do the right thing and just love You more and more, for giving me an education both spiritually and worldly, for giving me mentors who are able to explain to me the simplicity of spirituality, for Radio Sai for giving me and everyone across the globe an opportunity to ruminate over You and Your Love. I just pray that You make me Love all with the capital “L” like You did in the physical form and still continue to do in Your cosmic form and Serve all with a capital “S” like you did—Selflessly, as You have done and still continue to do. I can’t even express in words how grateful I am to You Swami! I offer this humble offering at Your Divine Lotus Feet. Yes that’s what gives me joy and pride. Who is as pure as the whiteness of a dove. Who makes sure I don’t live life with carelessness. The only one who will come at my need. And doesn’t ask even for a penny. I am very blessed by Swami's grace and the teacher who introduced me to Swami next to my mother. I want to express my gratitude to my teacher Dr. P V. Krishnamoorthy who worked at Alagappa College, Karaikudi, TN. Spent the first ten years of my life in several orphanages and am extremely grateful for all the efforts of the Roman Catholic Nuns who cared for us children. We meet different people in the journey of life making a difference to our lives, but there is a special someone who inspires us by giving us some precious insights. Apart from mother and father, there are some angels who truly keep guiding us, the special ones whom we are blessed to find correcting us in our daily lives. To the ones who have been working harder day and night to educate each one of us, here is a token of my love to teachers for having gifted this world their love in abundance. Every teacher is special in my life but there is one teacher, who taught me a beautiful line, Sai hamara hum sai ke aisa prem hamara, sairam hamara sairam hamara everytime. Yes, it was my balvikas teacher, who gifted me the keys to unlock life’s useful guidelines; she was the medium who taught me ways to connect to divinity more closely at all times. 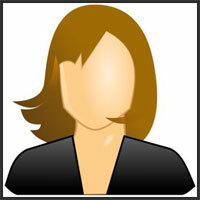 She was not just a teacher but more like a guide, a friend who could answer my queries. She believed in all the work I did by showing immense faith in me and my capabilities. If there is any way that I could offer my love to her as her balvikas student or as a youth, it’s only by walking on the glorious godly path that she taught me since my childhood. She was a role model in the lives of each one of us, youngsters as well as elders, an epitome of humility, sincerity, love and a true teacher chosen by Bhagawan. She is no more amongst us physically but her ideals and memories are prevalent in our hearts, a teacher who truly inspired me personally, I offer my deepest gratitude and sincere love. 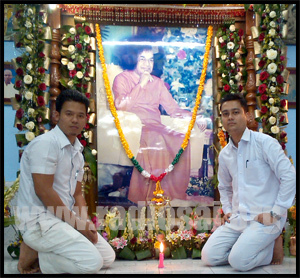 Angels enshrined in the hearts of students of Sri Sathya Sai Vidya Vihar, Visakhapatnam. We are most thankful to Swami for sending you here and most grateful to you for enduring us for so many long years. Learning with you was such a pleasure... good (g)olden days we shall cherish forever... how I wish i were still a child sitting in your class... but you taught us that we have promises to keep and miles to go before we sleep..
Having turned our lives Saiward, your lessons for life guide and guard us giving us hope and courage. Pray bless us that we too may be worthy instruments of Swami like you...living up to His message. He waters and gently cares for all His saplings and delights in watching them grow into mighty trees, mature shrubs and bushes, and lush lawns that give beauty and pleasure, fruits and nourishment, shade and rest for all humanity. And for this garden, Sai created a lovely nursery too. He called it - Sri Sathya Sai Bal Vikas." My most humble salutations to the Divine Gardener, for making me one such sapling in His beautiful garden! On this occassion of Guru Poornima, it is indeed my duty to express my sincere gratitude to the Eternal Guru and to all my Balvikas Gurus, for what I am today. Just as a guidepost stands firm and shows the direction clearly, so also, the guru shows the path to the students to follow, guides through every step in that path, shares our moments of success and failures, and loves us forever! This day, I am elated to convey my special and hearty thanks to my most loving Balvikas guru, Smt. 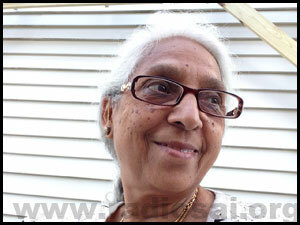 Manorama Vijaysai, who has mentored me in every step of my life through her guidance. Being an alumnus of the Sri Sathya Sai University, she has truly been a role model and inspiration to me. I would take this opportunity to thank her whole heartedly for all her support. Thank you for listening to me, supporting me, and encouraging me. You're a true friend and I want you to know how much I love and appreciate you. May Bhagawan shower His choicest blessings on you to continue this great service. "Siblings are people we practice on, the people who teach us about fairness and cooperation and kindness and caring". It’s often said that the young ones learn from the elders, and it’s always hard being the elder one, as one has to set an example. From helping me out with my studies to handling peer pressure and in between our petty fights and arguments, you have taught me how to handle, perceive, appreciate, enjoy, love, believe, care, sing, dance and especially taught me to only depend on Swami and surrender to Him in all times. The confidence you have in me fills my confidence and each time when I hesitate to do something the much needed push from you helps me to be a better person. This Guru Poornima I would like to express my gratitude to my Dearest Eldest Brother for being my brother, friend, teacher, counsellor and everything...Thank you!!! And I really wish to be with you Swami. Guru is one who shows the path to reach the destination. Baba is my first Guru... My path as well as my destination. Ex-president Mr. A.P.J. Abdul Kalam has also influenced me to a great extent. I try to follow his simplicity and his focus. So my ultimate and only Guru is Baba. I always thank the Lord for having found a Guru at an early age and giving me the privilege to know Him, learn from Him and follow Him. 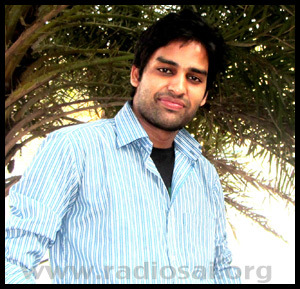 There is a popular Kannada song composed by Purandaradasa with the lyrics "Bhakti Sukhavo Mukti Sukhavo?" which means is bhakti (devotion) better or Mukti (salvation). I have tasted Bhakti with my dear Baba and every day of my life is meaningful because of Him. "How can that ever be?" When will I be yours dear Lord? You alone are my guardian and Guide... My loving Guru! My dearest Guru, my Sadguru, my Swami! How can I thank you for all what You have done for me, for transformation, Your immense Love and Grace? Not only for what You did for me I would like to thank, but for what You have done for the whole world. You attracted millions of hearts to love them, transform them, work through them, live in them, and still You will call more hearts, one by one, until all little hearts are united in Your great Divine Heart. You will expand until the whole universe is fulfilled with bliss and Divinity, singing Your Glory, and even stars will adorn Your Lotus feet in Joy! How can I express my gratitude? It will never be enough! What can I give You in return? I have nothing to give, for everything belongs to You, even this little yearning heart! You are in me, I am in You, and there is only one Love, this is GOD. So I thank You with Your Love, with Yourself, our Swami, our Everything! My beloved Swami is my Guru forever and ever. He is guiding me through this life as a Mother, Friend, Guru. Though I didn't have the opportunity to enjoy the physical presence of my Swami, the bliss which I am experiencing now is much more than that. No words to express that feeling. He is always with us. Whenever I am feeling down, I go to none other than my Swami. I share with him everything. He has made me happy through many darshan in dreams. I feel my Swami each second. There is a reason for feeling Swami as my Guru. There are many people who will tell you what is wrong and right, what I should do and I shouldn't. But Swami instead teaches us to tackle all the problems by making us to face that problem instead of hiding from that problem. If suppose I am afraid to face a situation and it is bothering me a lot, Swami doesn't help us by preventing me from facing that situation. Instead He puts us into that situation and gives us all strength and helps us get through that fear completely. Thanks a lot from all us Swami for guiding us through our lives!!! And brought me to you, Sir…Swami’s chosen Guru ! And to make you both proud one day ! Sir…You will forever be Swami’s chosen Guru! My teachers have inspired me a lot and they will be forever. My sincere thanks and regards to all my teachers who have given me a strong foundation to stand on!! Thank u very much dear teachers!! 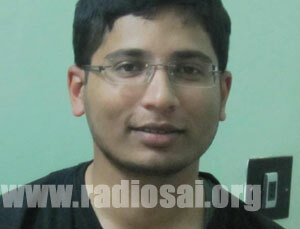 And many many thanks to radiosai team!! For giving students like me a great opportunity to show gratitude towards teachers!! It is with heartfelt gratitude that I pay tribute to the one person, apart from Bhagawan whom I saw as my GURU through eyes as a child, a teenager and right throughout my adulthood, he is my DAD who right now in heaven. My DAD was such a special man in my life, he taught me to be a strong woman and to understand that LIFE can be a huge CHALLENGE, that from time to time I will walk through FIRE and that weapons could be formed against me, but he showed me that with steadfast devotion and contemplation on GOD, I would have a protector for life like no other. He showed me the path to spirituality at a very tender age, and even though he wanted me to face the world bravely, he always protected me in his own loving way. What more in life could I ask for than being shown the path of spirituality, for with this fell into place all other aspects of my life. Today I am a mother with two children, and how more clear do I see my DAD, my GURU when I confer on my kids all that he taught me. I strained outside the Mandir main gate to catch a glimpse of the orange robe. The bhajans were playing, but on this Guru Poornima, this day honouring my teacher, Sai Baba, I could not see him. I could only see thousands of other people seated in the vast hall. Never before had I not seen Baba. I could not believe it. Then a parade of hand powered tricycles came towards the gate, each with a new owner and a Seva Dal attendant. Baba must have just gifted these cycles and with them, independence for the riders. And so, in their faces, I saw the teacher, and received Darshan and a new lesson to contemplate. for I got you from him being the weirdest. you were, you are and you will always be enshrined in my heart forever. you are like a fairy with powers unseen. your smile gives me a winning hand. which drives my spirit to a higher level. with your benevolence you help the helpless. you were there by my side without any limitations. of kings and wars to make knowledge ours. You were, you are and you will forever be favorite mentor of ours. “Thank You’’ for giving me your selfless love and care. "The Eyes of that Brown Bunny"
There were no words, there was no sound. But there was that deep message oozing out of his eyes. for You had the Silence in You. to let go, to move on. for you had let go your own fears. Love You are, the Love witnessing the Divine Drama. witness to that Divine Drama. Your 'Own Self, Your own Truth. You were given an opportunity to Experience "Your Self"
"MEE RUNAM NAACHARMAM THO CHEPPULU KUTTINCHI ICCHINAA THEERADU"
As per the saying above, I am inspired by few persons in my life whom I consider as my Gurus. First and foremost, my parents are my first Gurus. They are the reason for my sheer existence. Their love and the confidence in me made me a self-reliant person. Thanks a lot Amma and Appa. I love you. 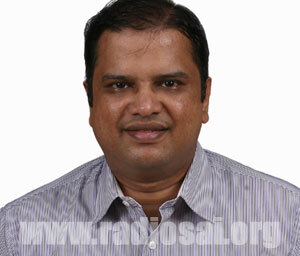 Next is my Uncle Mr. Narayanan who merged in Swami a few years ago. He was my first Balvikas Guru who inspired and encouraged me to do Manava Seva. Thanks a lot Uncle. I know you must have attained Moksha for the service you did to the society. 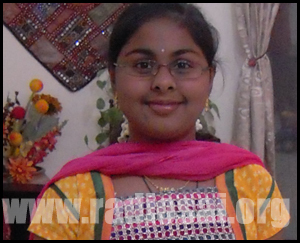 If not you would have definitely got a place in Swami’s heart. I love you. 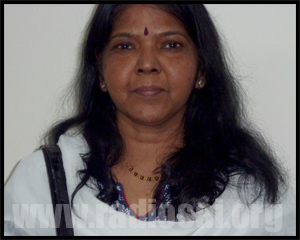 Fourth is my Balvikas Guru Mrs. Prema Madhusudhanan who is deemed to be my foster mother. 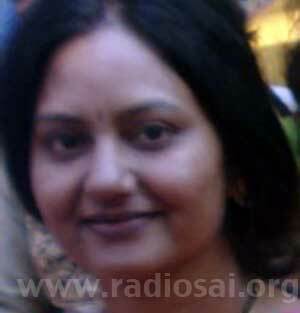 She inspired me to be a Balvikas Guru myself. Her encouragement and confidence in me boosted my self-confidence. Thanks a lot Aunty. I am always grateful to you and still cannot forget the way you would teach us many values. I love you. Last but not the least is my eternal friend and Guru - My dearest Swami. He stands by me always. He smiles and laughs with me. He is always there to wipe my tears. He pushes me into delusion and pulls me away from it. He is my Sadguru and Jagadguru. Thank you Swami. I love you. Wait, Did I forget to thank one more person? Yes, of course. 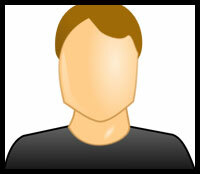 My husband Balaji assumes the role of at least one of the above in times of need and guides me. I love you dear. The life that was centred around MBBS and merit lists slowly fondled a desire to be in the crowd that wore Whites and clustered around a single beauty clad in Orange. Life no longer felt like a race to print a designation next to my name...all it desired was for a smile, a glance, a touch...and perhaps a few words from that orange beauty...perhaps, a transition from calling him "Sri Sai Baba"...to "my dear Swami". Life just searched for a medium to be close to Him...and the 'gentleman in whites' with a smile told me, there could possibly be a medium..."why don't you try for BSc in BioSciences in Swami's institute?.." and produced an application form of admission to SSSIHL. With Bhagawan's grace, I never looked back since that day! On this occasion of Guru Pournima, I want to express my heartfelt gratitude to that 'gentleman in whites' for opening up a door into my life which I will cherish forever...a door that chose GOD...and BSc. was no longer a course of the hopeless...because then, it was my ONLY HOPE to be near HIM! To Shri Tushar Swadia...'the gentleman in whites'. Dearest and most respected Swami, Pranam. You are the most wonderful and loving teacher in this world. You have guided us in innumerable instances through various modes of communication and you make sure your student never fails in understanding. Thank you for the sweet love and care that you shower on us. Swami, the love and gratitude we have for you cannot be expressed through words; it is heartfelt and we know that it reaches you the minute we think about it. My prayer is that kindly be strict with our minds and make sure it never wavers from acting against how you want us to be. Love you so much Swami! offer you but pure Love! My Humble Salutations at the Divine Lotus Feet Of the Divine Cosmic Mother Sai Maa! SWAMI is my Divine Guru. The most important inspiration to me is my Mother. On behalf of my family, I really want to dedicate this song/poem, to my dearest mother, whom my dear Lord SAI has blessed me with. Though we cannot repay the debt of a mother, felt this is the only way, where we can to a certain extent offer our humble offering at her Divine feet. O Maa O Maa O Maa. Salaamat rakhe tumhe bus yahee mein chaahun. What do you think about this initiative? Please let us know by writing to [email protected]. Do not forget to mention your name and country.